Yup it's a US car, I'm curious of the 22 & 144 Red/Black Coupes, do you know how many were DCT? Probably would explain why it took me so long to find one. I found this pic on the E30 Zone Wiki and I think these are the door panels that go with my seats. Awesome thanks, so finding a Canadian one was going to be hard. How much data do you have vlad? If you can reverse crosslist the production data you should be able to get the vins of the two cars, maybe you can see if the owners are interested in selling? did you buy one already? fix your info, yo! Yup, that's why the e36 is for sale. Didn't you see it on fb? Haven't made a thread on max yet, still waiting for some good pictures. 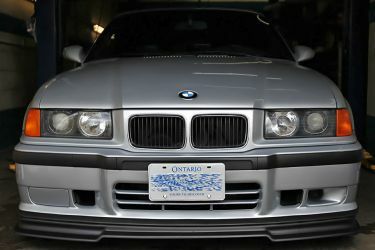 14 - 1996-1999 BMW 328is Coupe Manual (BG13) - NA painted in Arctic Silver Metallic (309) with Light Grey Casual Montana Leather (0519/P7TH) interior built for Canadian market. 500 were built for the US market. Here is what your car cost when it was ordered. Since it's a very early car, did it have ASC when you got it? 5 - 1987-1991 BMW 325i Sedan Manual (1413) - NA painted in Royal Blue Metallic (198) with Natur Diagonal Cloth (0273) interior were built for Canadian market. None were built for US, which is strange since that color and upholstery was available in the US. The most rare option on this car is the option S464A - Ski bag. It was installed on 923 out of 10372 cars. 19 - 1987-1992 BMW 325i Convertible Automatic (BB23) - NA painted in Royal Blue Metallic (198) with Natural Bison Leather (0295) interior were built for the Canadian market. 350 were built for the US market. The most rare option on this car is the option S980A - Hardtop, black. It was installed on 712 out of 29,880 cars. P022385 for me! Thanks Vlad! All the info you come up with is just amazing!!! 23 - 2007-2010 BMW 335i Coupe (WB73) - NA painted in Montego Blue Metallic (A51) with Black Dakota Leather (LCSW) interior were built for the Canadian market. 531 were built for the US market. The most rare option on this car is the option S4ADA - Interior trim strips, alu, brushed, fine. It was installed on 7413 out of 29892 cars. that's INCREDIBLE that you have allllllll this info man!! thx a lot!!! Thanks. It came without asc. Now could you modify this database .